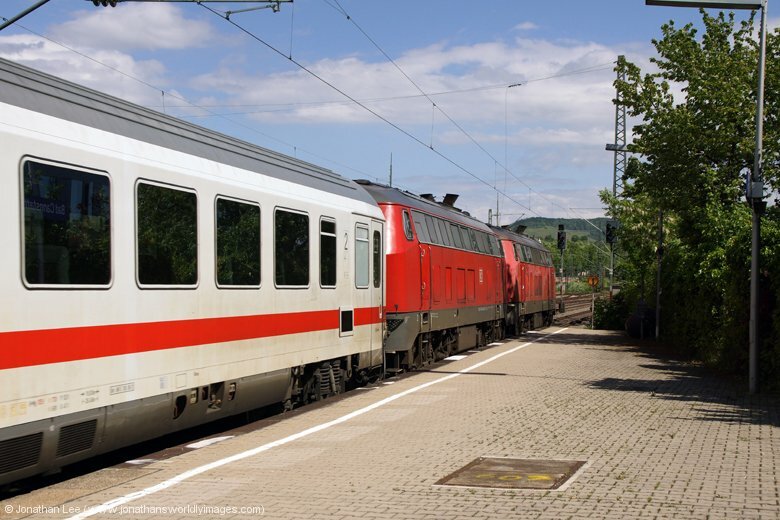 Kempten (Germany) – Green Living Inn (£50 for a single room) – a 5 minute walk from Kempten station. As the reception closed at 2100 I had been given a code for a locker at the hotel’s entrance. Said code opened the door and inside was my room key, room number, receipt and code for the WiFi. The place was quiet, clean, and spacious and for the price very well equipped with each room having its own fridge and microwave oven. 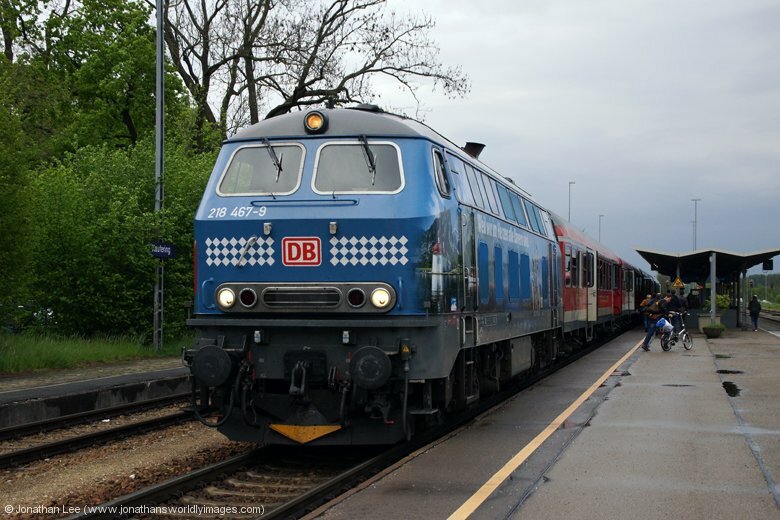 An early start on RE57581 0548 Kempten – Munich HB, which was T&T 218493/489; as booked. 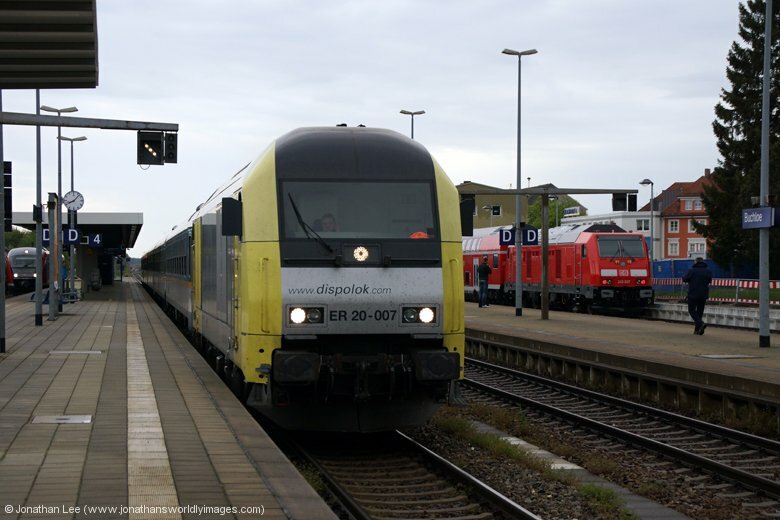 I bailed off at Gunzach for RB57603 0601 Kempten – Augsburg behind but in doing so it allowed me to view the first Lindau bound Alex train; Aidy had spotted both hire locos 223007 & 223013 on Alex trains the day before and if either or both was out I was going to give myself every opportunity to get them in. 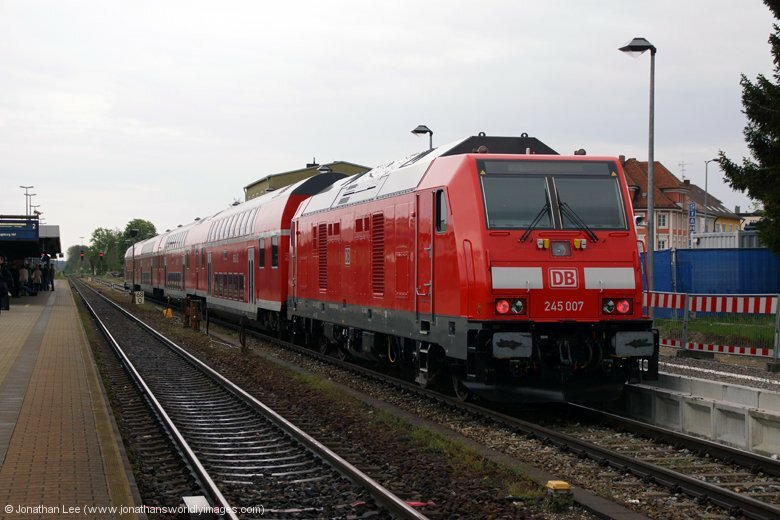 Unfortunately 223067 was on 84140 0448 Munich – Lindau so 218457 on RB57603 to Buchloe it was. 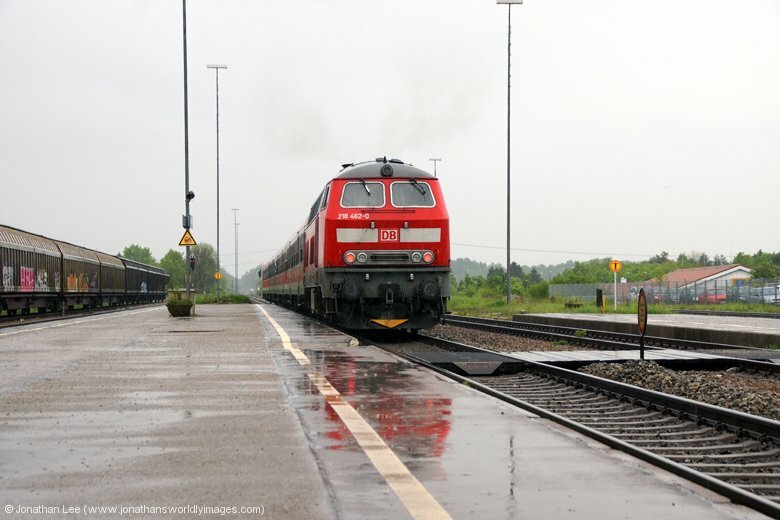 From that point on, until I needed to get to Kempten for IC2012 to Stuttgart, I spent the morning doing Buchloe – Kaufering return leaps, four in total, with the last one being a move straight back to Kempten. 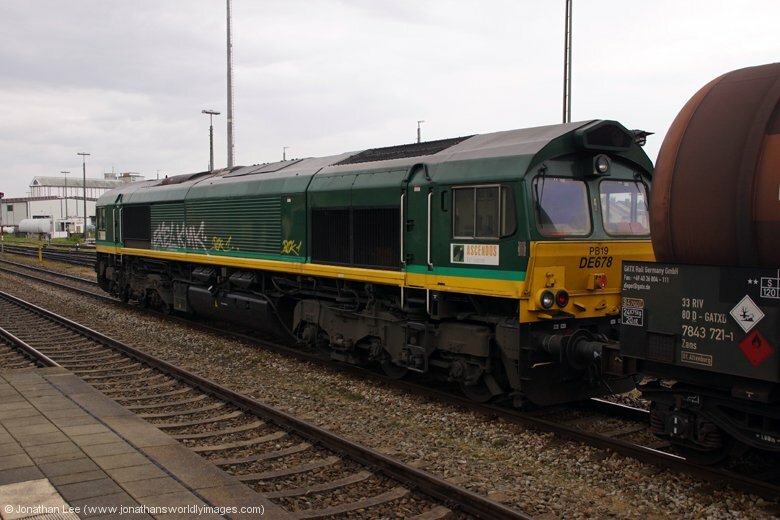 Every one of the 8 218’s Aidy had given me the gen on the previous day stuck to their next turn but only 223007 produced on Alex turns, 223013 was nowhere to be seen; judging by Aidy’s Alex gen from the previous day 223067 had replaced it as it wasn’t out the previous day. 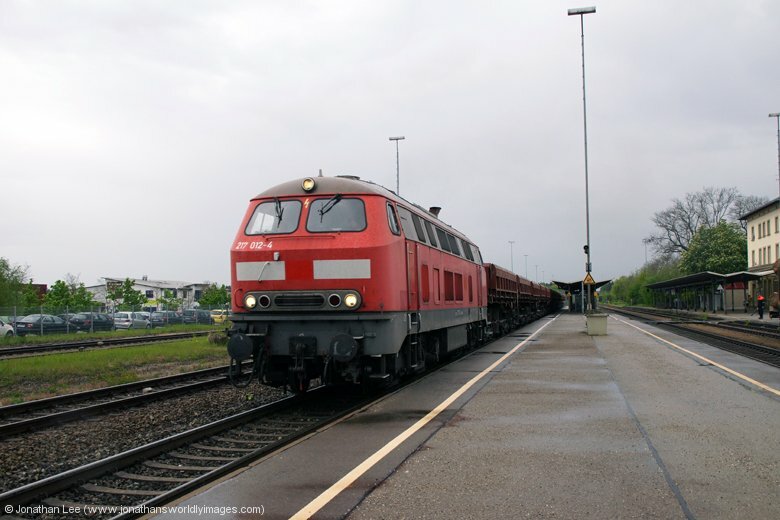 I found 245007 at the Kempten end of a load 3 set when I first got to Buchloe, it had Kempten depot marked on its side. 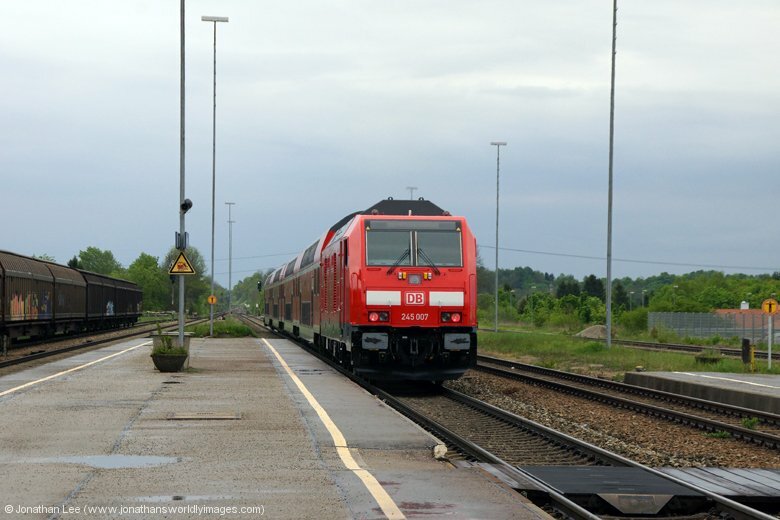 It was clearly driver training and I saw it run through Kaufering heading towards Munich; incidentally it was followed by 217007 coming out of the stone loading point just Kempten side of Kaufering station, with a loaded ballast train. 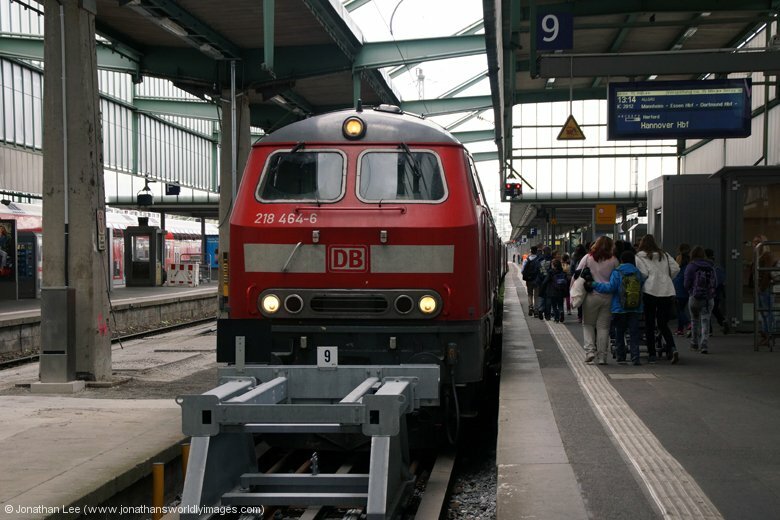 At one point I thought I was going to miss IC2012 when Alex 84144 0919 Munich – Lindau was announced as being late. 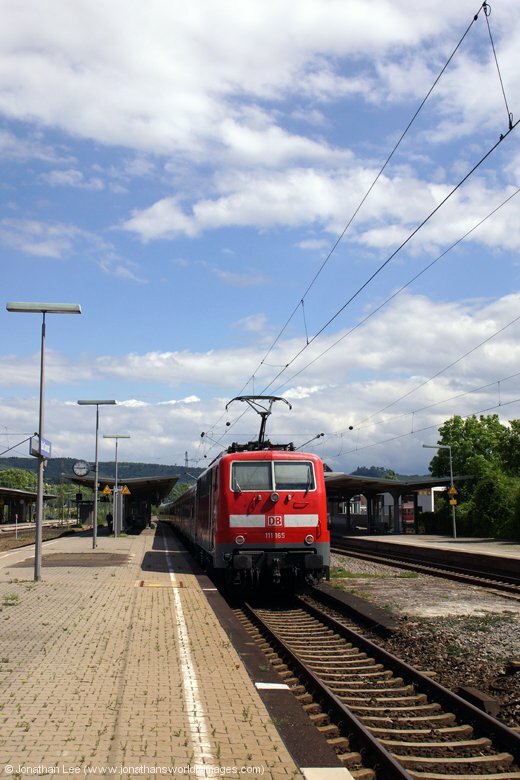 I was only on a plus 8 at Kempten and the back-up moves at that point all involved untis at some stage to get me towards Stuttgart, unless I got off for IC2084 0940 Oberstdorf – Augsburg and did that to Augsburg instead. 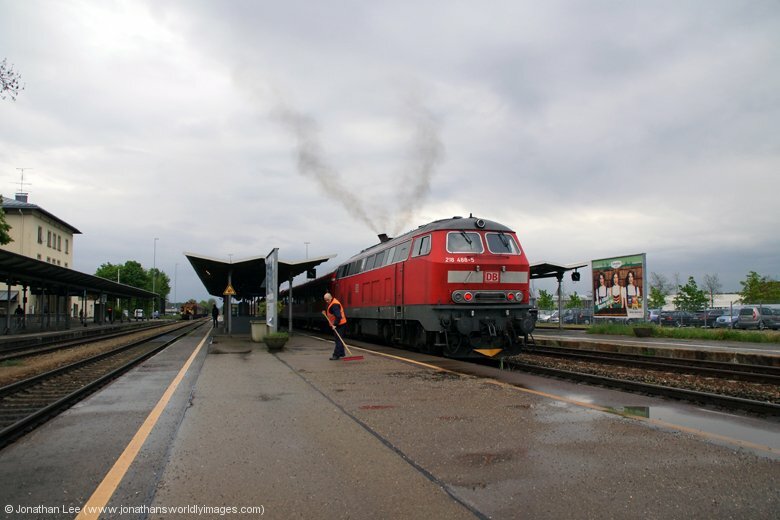 Having consulted with the guard he was adamant I would make the connection at Kempten onto IC2012 so I stayed on to Kempten, where upon arrival there was no sign of IC2012 at all; it being late itself! 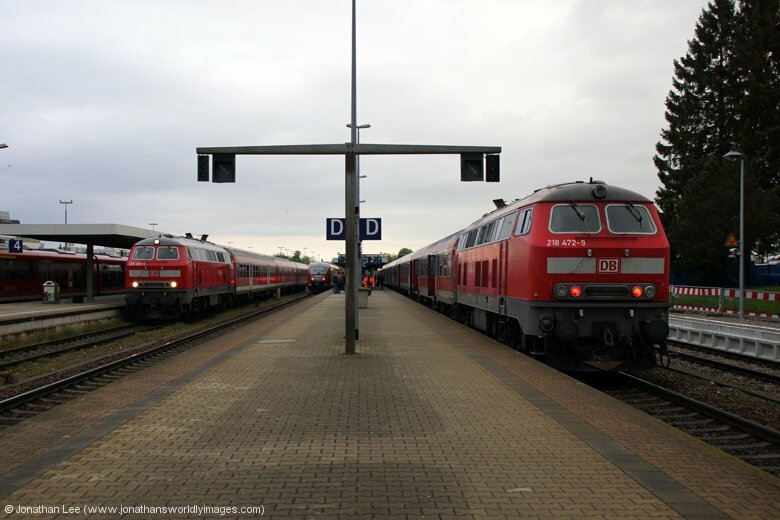 A bonus new pair of 218’s 218464/326 rolled in with IC2012 in reverse formation with the 2nd class at the front. The coach right behind the locos was completely empty when I got on and even by Stuttgart only had half a dozen folk in it. 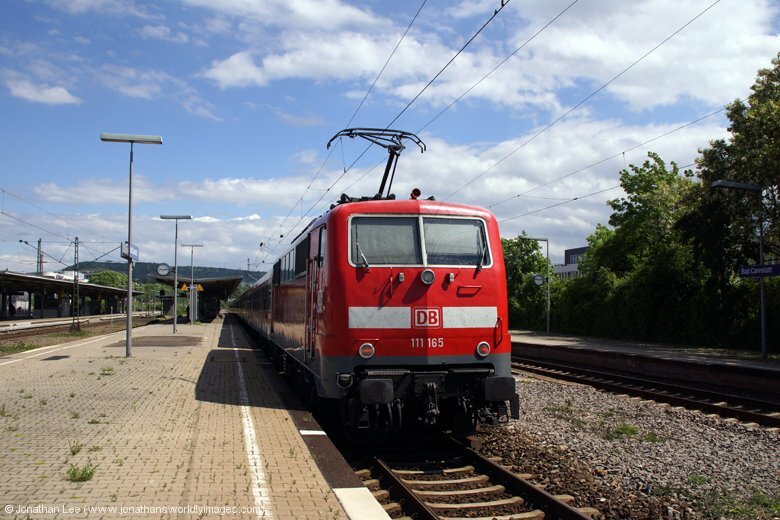 A very enjoyable journey it was and thankfully by Stuttgart the storms had given way to bright sunshine making the afternoon moves on the Stuttgart locals a bit more pleasant than the morning ones on the 218’s. 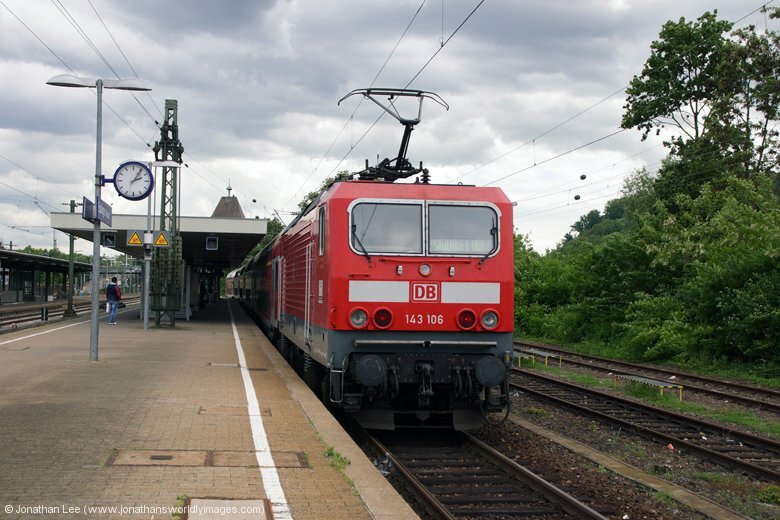 Since my last visit to Stuttgart all the platforms had been truncated back and all now finished at the same point making quick leaps across the blocks possible between Tubingen & Aalen trains. My aim for the afternoon was to get as many 111’s in as possible and a few 143’s to boot. 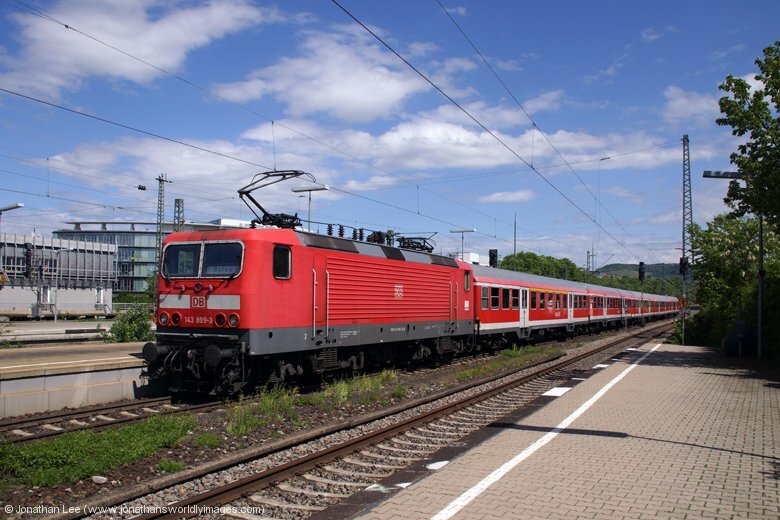 I’d done a simplifier with times for Stuttgart – Plochingen and diagram numbers; while the timetable held up the diagrams seem to have changed quite a bit from the latest ones posted, which bowled me out at Stuttgart a couple of times as did a cancelled train. 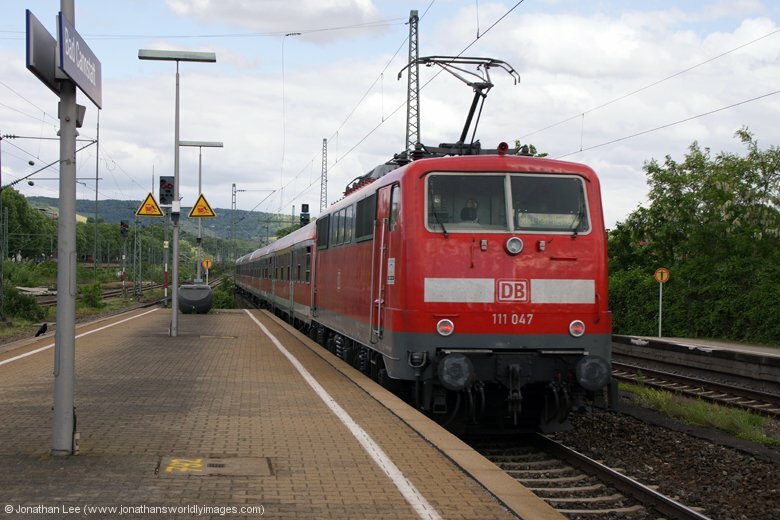 I managed to get 6 different 111’s in just over 3 hours, unfortunately 2 were dud from my previous visit to Stuttgart. 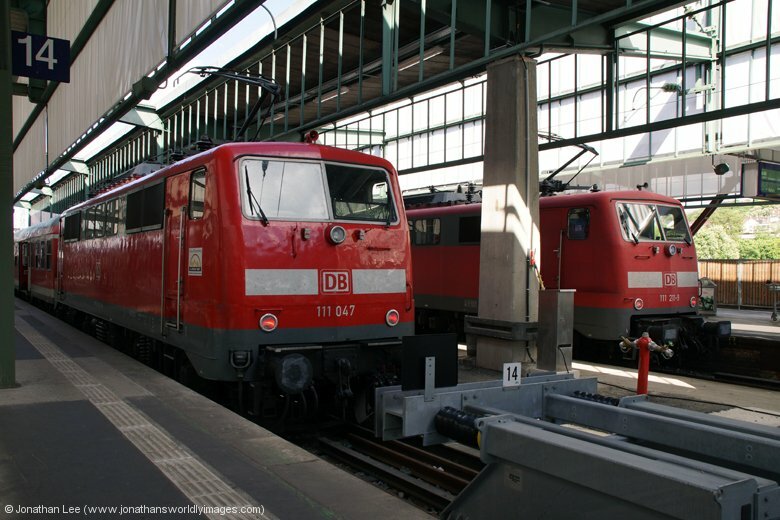 I even dissed my planned move to the airport to get two in at the end of the bash; I couldn’t resist when I found 111047 & 111211 sat side by side with RE19925 1643 Stuttgart – Schwabisch Hall & RE19441 1649 Stuttgart – Aalen respectively. 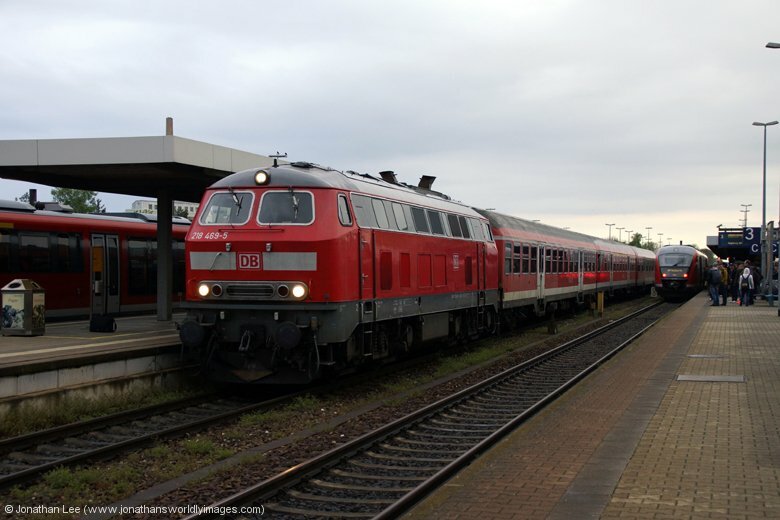 I did think I was going to miss RE19916 1436 Nurnberg – Stuttgart at Waiblingen when we stopped between Bad Cannstatt & Waiblingen but luckily it was a couple of minutes late, although unfortunately it was dud 111019. 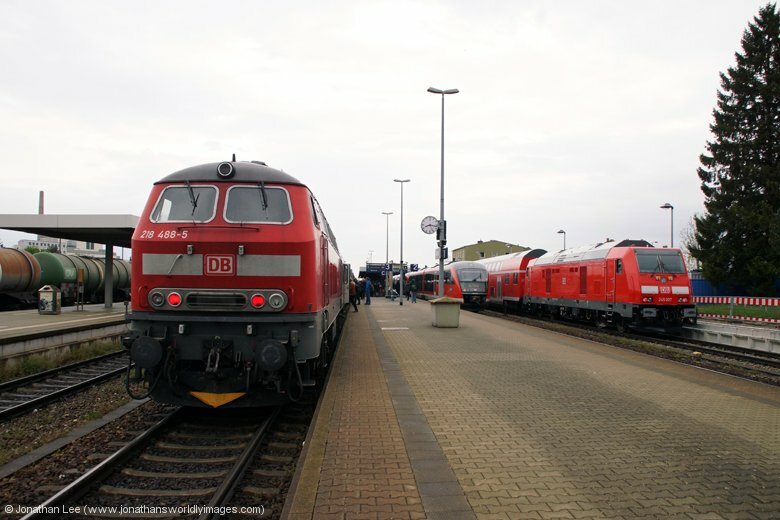 I did it to Bad Cannstatt anyway where the only move remaining was an EMU to the airport. Having not used Stuttgart airport before I was suitably impressed with the efficiency at which people were processed through. My flight was from Terminal 1 but I was told to use Terminal 2 queue to get through immigration; both terminals being connected and the queue for Terminal 2 being a lot shorter than that for Terminal 1. I’d already checked in using the British Airways app and the WiFi at the Green Living Inn the previous night and the flight was on time, until delayed on approached to Heathrow by air traffic control. As with all things when you don’t have a lot of time to spare there are always those things that delay you a little further; our being, on top of the slight late arrival, the fact that we didn’t go onto a stand and had to be bused to the terminal. I only had 2 hours from landing to departing Kings Cross and was relieved to be onto a tube with 90 minutes to get to my train. If I’d have missed the 2200 ex Kings Cross it would have been a long wait for the 2326, and a very late arrival back into Doncaster! I was glad to be home when I got there but was equally as pleased with the trip I’d just done.